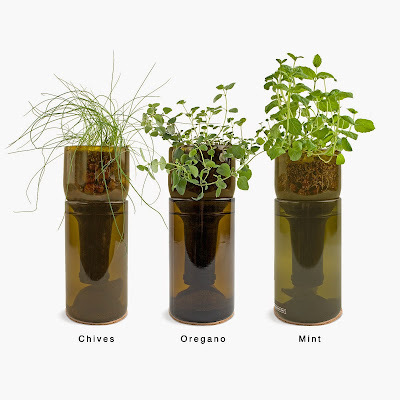 Fresh from Idaho and Uncommon Goods comes these super hip little Grow Bottles. Made from re-purposed wine bottles, they offer the perfect little hydroponic world for growing herbs in small spaces. You can get just one or start a collection of all the herbs they offer.